A luxury cruise ship, the Azamara Quest caught fire a couple of days ago whilst sailing in the South China Seas. The ship was travelling from Manila on its way to Sulawesi, Bali and Komodo before heading off to its final destination of Singapore. By all accounts, the Azamara Quest is a beautifully designed and well built ship and the crew extinguished the fire quickly and professionally and with little if any danger to the passengers. But the ship is now running on limited power from its generator and the passengers are probably suffering, especially if there isn’t any air conditioning. It is not clear if the ship was scheduled to stop at Sandakan on the eastern side of north Borneo because it is not listed as a destination on the company website. But anyway that doesn’t matter because it will be stopping there now! Sandakan has a chance to leverage this opportunity to great effect. I don’t want to take anything away from the misfortune of the company and the passengers but up to 1,000 wealthy and influential, mainly European and American visitors are about to make an unscheduled stop at what is one of the best kept secrets in South East Asia. Furthermore, because cruise ships have had a rotten press lately, the industry is reeling and as a result, this story is getting more coverage than is typical so many journalists from around the world are covering the story and may make their way there to talk to passengers when they dock. It is a wonderful opportunity for Sandakan and Sabah, the Malaysian state in which Sandakan is the second largest city, to gain valuable exposure. So what should Sabah tourism do? Find a way of communicating with the passengers before they arrive and identify what they want when they get to port and make sure you give it to them. Depending on how long it will take to repair the ship, will determine how long the passengers are staying in Sandakan. 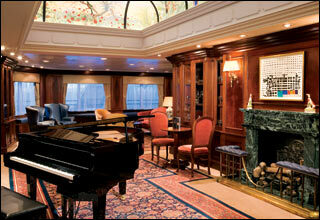 Offer the cruise ship owner accommodation to all the passengers at hotels and make sure the rate is very attractive. Being wealthy and influential passengers, many of them will be on tight schedules and this may mean the end of their holiday. If they leave Sandakan feeling unhappy, Sandakan may be guilty by association. Make sure those passengers that need to leave quickly are assisted in anyway possible and work with partners in Kuala Lumpur and other transit points to ensure their departure is a positive experience. Assign well trained representatives to welcome the passengers and make sure they are easily contactable, given decision making responsibilities and budgets to help passengers in any way. 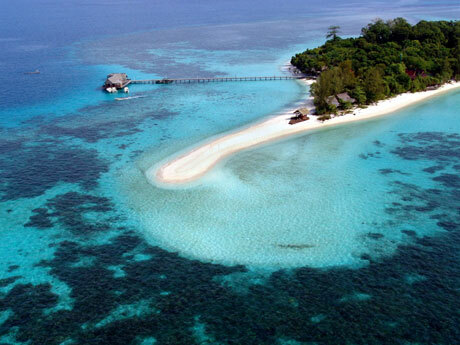 Use this opportunity to show off places like Lankayan island by providing free transfers to the island and subsidised rates for those passengers that would like to go diving. Offer free trips to visit other attractions such as Gomantong caves, the Turtle island park, the Proboscis monkey sanctuary and of course, for anyone who has their clubs, a round of golf at the golf and country club. All these efforts should be underwritten by the Sabah Tourism Board. There will be a temptation to see this an an opportunity to make some extra money and even charge more to the cruise ship passengers. This would be a mistake. Wherever possible, get contact information, email addresses, twitter profiles, tumblr information and track them once they’ve left and stay in touch with those with influence. Such gestures will also form the foundations for future negotiations with this and other cruise lines who will certainly learn of the generous and proactive approach of Sabah Tourism. This is a marketing/PR/reputation opportunity and should be seen in such a way. These efforts won’t cost much, will leave an indelible impression on the visitors who will discuss the welcome they received in Sabah for years to come. « How important is a logo in the destination branding process?